Link building is a fickle friend that requires some time investment, patience and great strategies. Well you don’t need to worry about the strategies, because we’ve got you covered with our 5 white hat link building strategies for 2015. The best part about our link building strategies is that they do not require content creation! You’re welcome! Link building is an important activity, and it is essential to understand that some strategies may not work for your website. It requires some perseverance in trying strategies until you find the ones that prove the most fruitful. Our first white hat link building strategy for 2015 is known as the broken link building strategy. This strategy involves identifying the closest competitors to your website, and then finding broken links (404 error pages) on your competitor’s websites. You will then find websites linking to these competitor broken ‘404’ pages. The next step is identifying the pages on your own website that closely match these broken competitor 404 pages. If you do not have a matching page, you can create content that reflects what the ‘404’ page contained prior to it’s error. However, you can avoid creating content, by simply skipping that broken link, and moving to the next. After you have identified destination pages, you need to reach out to the websites linking to the broken 404 pages on competitor websites, and mention that your website has a page that reflects the exact information they require. This link building strategy may sound complicated, but Venchito Tampon has you covered with his in-depth step by step guide to the broken link building process. The Wikipedia link building process is a great white hat strategy that involves the identification of ‘Dead Links’ on Wikipedia articles that are closely related to your website, and editing these ‘Dead Links’ to replace them with closely related destination pages on your website. Now as you may know, Wikipedia links are all rel=”nofollow”. This strategy is effective because it assumes that if Wikipedia is linking to a website, then other authoritative websites will also be linking to that website (ones that have follow links). So you will identify other pages that are linking to the Wikipedia ‘Dead Links’, and reach out to them to let them know you have a replacement destination page on your website. This process is not a difficult one, but it does require some patience. Doug Cunnington from Matthew Woodward has got you covered with his step by step Wikipedia link building strategy tutorial. Scoop.it is a relatively new tool that combines content curation, and link building in one. Scoop.it allows users to create boards where they curate content based on topics they choose. Scoop.it is quite unique in the sense that it allows users to enter a URL, where Scoop.it takes the title, image and a short snippet of content from the originating URL. The user is then required to add their own unique insight, thereby ensuring that the content is entirely unique. This allows users to curate content from their own website, and add a unique insight that ensures the curated content is the equivalent of a brand new page. On top of that, you are building links back to your site, whilst curating content. You can view an example of a scoop.it topic, and how it works by visiting this National Rugby League scoop.it topic. It should be noted that Scoop.it links are all rel=”nofollow”. However, these links should not be discounted, as they are still very powerful. Moz recently discussed this in their article ‘The Hidden Power of nofollow Links’. The reverse image link building strategy is an effective strategy if you upload images to your website that you own the copyright for. This link building strategy involves searching for websites that have used your copyrighted images, but have not provided a credit link back to your website for using the image. Now you’re probably thinking how do I reverse image search? Matthew Barby discusses the in-depth reverse image link building process. This method is incredibly effective as it capitalises unlinked brand mentions for the purpose of link building. The brand mention link building strategy identifies where your brand name has been mentioned on the internet, but a link was not provided back to your website. Once you have identified sites that have mentioned your brand, you will reach out to them asking for a citation link back to your website. Moz recently discussed this in a very thorough article called a guide to using unlinked brand mentions for link acquisition. 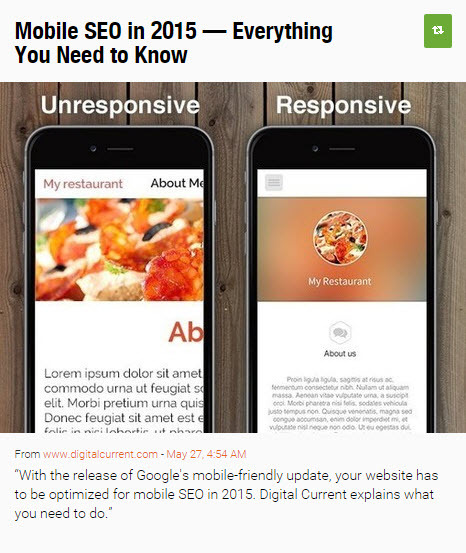 We hope you found our 5 white hat link building strategies for 2015 useful. Keep calm and carry on link building people! Trust us, it can seem far more daunting then it actually is. If you require assistance with white hat link building, feel free to contact us! 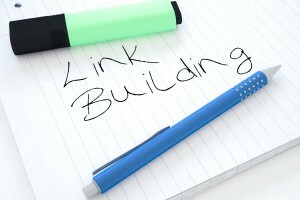 Have you tried any of the link building strategies above? Did you find them useful?